31 October 2017 marks the end of the first compulsory year of the continuing competence regime for solicitors. 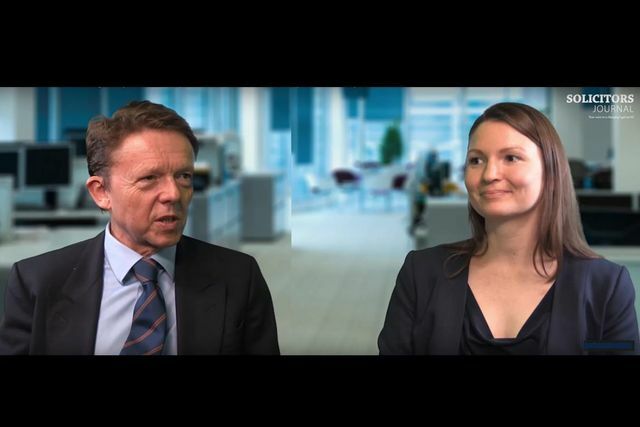 Anna Shaw and Mark Solon recap what’s changed and what solicitors need to do before they make their declaration. The old continuing professional development regime – which had been in force for over two decades – required solicitors to undertake 16 hours of training per year. It was fairly prescriptive about what counted as ‘training’, with certain formats specified and a minimum duration. More significantly, it didn’t differentiate between levels of experience: a practitioner of 40 years’ experience was required to undertake the same amount of training as a newly qualified solicitor. It was, however, straightforward to ensure compliance – the expectation was very clear, and collating the evidence was simple. The Solicitors Regulation Authority’s continuing competence regime does away with the 16 hour requirement and focuses on reflective practice. This requires solicitors to consider their own practice and needs, identify the skills and knowledge that are necessary for them in their role, and address any learning and development needs in whatever way is most suitable. Reflection can be a challenge for solicitors, and an effective appraisal system will be valuable in supporting individuals to identify areas for development. To assist solicitors in this reflection, the SRA introduced a competence framework which describes the expectations of skills and knowledge of a solicitor across four main competence areas: ethics, professionalism and judgment; technical legal practice; working with other people; and managing yourself and your own work. The SRA competence statement is a general framework, so individuals will need to identify which aspects apply to their work and how, then reflect upon and assess their competence in these areas. Under the new regime, recording learning and development activity is important, and this is not just to record what training you have done but also why you did this training: the development need it was intended to address, and the outcome of the training. Did it satisfy the development need, and how will you change your practice as a result? Solicitors will not be required to submit this record to the SRA when they make their declaration as part of practising certificate renewal, but they must be able to produce it on request. This might come about if the SRA had reason to investigate a firm or individual, in which case a deficient or non-existent record might be considered an aggravating circumstance. Conversely, a comprehensive record which showed a solicitor making all reasonable efforts to stay up-to-speed on law, procedure and practice might be a mitigating circumstance. It’s an unfortunate fact that the 16-hour requirement was open to abuse: it is no urban myth that some solicitors attended training sessions that were not relevant to their practice, simply to gain the requisite hours by the end of October. Does the move away from the 16-hour requirement mean solicitors will or should spend less time on training? It might or it might not, as it depends on the level of experience and needs of the individual. A very junior solicitor might spent far in excess of 16 hours a year on learning and development, while an experienced practitioner may only feel the need to spend a few hours digesting legislative and case law updates. A solicitor moving into a more senior or managerial role might wish to focus their training time on business development or management skills. Someone changing specialism or returning to work after an extended break will have different needs again, as they are likely to be looking for comprehensive training that provides an entire toolkit of skills and knowledge in a time-efficient way. Continuing competence encourages a more considered approach than the old regime: training that fits a solicitor’s needs throughout the year, not a mad dash at the end of the year to fulfil a quota of hours. It’s worth noting that, as the new regime acknowledges that learning isn’t just formal training sessions, practitioners are highly likely to find themselves totting up far more than 16 hours of learning and development activity over the year. Competence A is ‘ethics, professionalism and judgement’, which covers a vast range of areas on which training may be required. It’s crucial that solicitors remain up-to-date on their ethical obligations, especially where they are likely to work with clients where issues such as mental capacity or undue influence may arise. Competence A also covers keeping up-to-date with relevant law, policy and practice, including changes to statutory law and developments in case law, as well as longer-term developments. Client needs evolve over time, especially in areas where technology is advancing more quickly than the law. For example, dealing with digital assets is a key issue for private client lawyers as people are living and managing their lives online. Even experienced practitioners will benefit from training that helps them to see and prepare for what’s coming, such as law reform consultations. Competence B is ‘technical legal practice’, which is about putting knowledge into practice. This includes competence in obtaining information from clients, drafting documents, finding solutions to problems and progressing a case to conclusion. Activities involving these skills are likely to be everyday tasks for most lawyers so there will be plenty of opportunity for practice, but training that supports advanced skill development in these areas will be invaluable and can help solicitors to offer even better service to clients. Competences C and D might represent a departure from what some solicitors have typically seen as the key focus of their training, as they focus on ‘soft skills’: ‘working with other people’ and ‘managing yourself and your own work’. Very few lawyers will work in complete isolation within their firm, so competence C will include team work skills to work effectively with colleagues. Perhaps more important, though, is working with clients. Many lawyers will need to discuss sensitive issues with clients, whether private individuals who may be vulnerable through age or circumstance, or corporate clients looking for confidential advice on a business matter. Training on working with vulnerable clients, communication skills and diversity can be useful to invest in. It’s not uncommon to hear people say ‘X is a brilliant lawyer but has no people skills’, but the continuing competence regime really says that a good lawyer needs to be competent – or better – across all aspects of practice. Even if you feel confident in your technical skills, you cannot ignore skill development in other areas, and face to face training can be especially beneficial here. Competence D is about having the skills to effectively manage your workload to enable you to meet client expectations. Competition from non-solicitors able to provide some legal services is at an all-time high, and providing an efficient and personal service is what will bring clients back again and again. These skills will include delegation, time management and even managing files and records in an orderly manner: skills that will help to keep your clients happy and reduce the stress of a busy and changing workload. With a busy workload it can be difficult to take time away from fee earning to spend on training. One clear advantage of the new regime is that pretty much any learning format goes, even reading or consulting a more experienced colleague, so there are ways to fit development around the demands of client work. But there is undoubtedly still a place for formal, structured training. For time-poor lawyers keen to develop their knowledge or skills, webinars can be a really useful tool. They are especially appropriate for quick updates, analysis of case law, or to help you to prepare for future changes, and they will be particularly valuable for anyone who needs information quickly or lives far from typical training destinations. Some training topics do really benefit from face-to-face delivery, though, especially where there is a practical element, such as estate and trust accounting, or soft skills. The feedback we receive suggests that face-to-face training provides a relaxed and encouraging environment where delegates can ask questions of an expert trainer and discuss with peers. Our trainers certainly enjoy engaging with delegates and ensuring they achieve their objectives in attending the course. We are seeing increasing interest in online learning as firms look for flexibility and a more innovative way to meet learning and development needs. Really engaging, interactive training that you can follow at your own pace is bound to be the next step, and that’s something we’re exploring at the moment. With practising certificate renewal season upon us, solicitors will be making their first declaration under the new regime by the end of October 2017. The declaration is that ‘I have reflected on my practice and addressed any identified learning and development needs.’ Interestingly, it’s not actually a declaration of competence, though firms should of course be addressing any perceived deficiency using their own policies and procedures. A training record should clearly reflect the circumstances of the individual lawyer and demonstrate an awareness of the importance of development across all four competence areas. As well as identifying the training undertaken, it should include the solicitor’s reflections before and after attending: what development need was the training intended to address, and was the need met as a result of the training? The training attended may look similar to previous years – a mixture of updates, technical skills courses and personal development – but it will be important to consider how this reflects the four competence areas to ensure a practitioner stays current and competent in them all. What the record looks like is up to the individual or firm, though the SRA provides an example on its website. Some firms will have their own template that fits with the firm’s appraisal or review system, while for others a simple Word document with a summary of their reflections and what training they have undertaken will suffice. Many CLT members are using our Competence Gateway to log and reflect on their training; the administrator function makes it easy for firms making a bulk declaration to be confident that all solicitors have logged their training. The SRA does not intend to check records unless there’s a reason to, but it’s very important that your reflection process is documented. Anna is Content Coordinator at Central Law Training and Mark is Chairman of Wilmington Legal, part of Wilmington plc’s Professional Division. To find out more about the Competence Gateway, visit http://www.clt.co.uk/gateway.